With admirable timing, this volume examines a global workplace infrastructure that&apos;s as shaky as the economy would indicate. 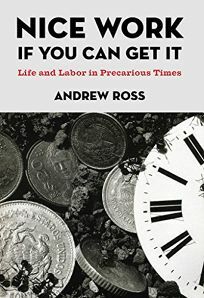 Taking a hard line against exploitation of workers in a variety of roles worldwide, Ross looks closely at workers on the verge, and those putting them there. In the chapter ""China&apos;s Next Cultural Revolution? "", he warns that ""Beijing&apos;s rulers have nothing to worry about"" so long as ""the creative sector behaves like other industries... They can be groomed and promoted... to absorb foreign investment and foreign ideas, to exploit low production costs...."" He tackles the Western world with the same nonplussed tone, as when discussing corporate PR tactics to deny ties to labor abuses by promoting social good, naming names like Nike, Reebok and the Gap. He also hits higher education, where much of the workplace is shaped, noting that it&apos;s ""all too easy to conclude that the global university, as it takes shape, will emulate some of the conduct of multinational corporations."" Rejecting the widely influential, free marketeer notion of a worldwide ""playing field,"" Ross leaves no room for easy answers (or an ""alternative, and equally snappy, image"" to answer Thomas Friedman&apos;s or Richard Florida&apos;s). Though far from uplifting, this is a bold, pointed look at reality as it is, a far more valuable commodity.